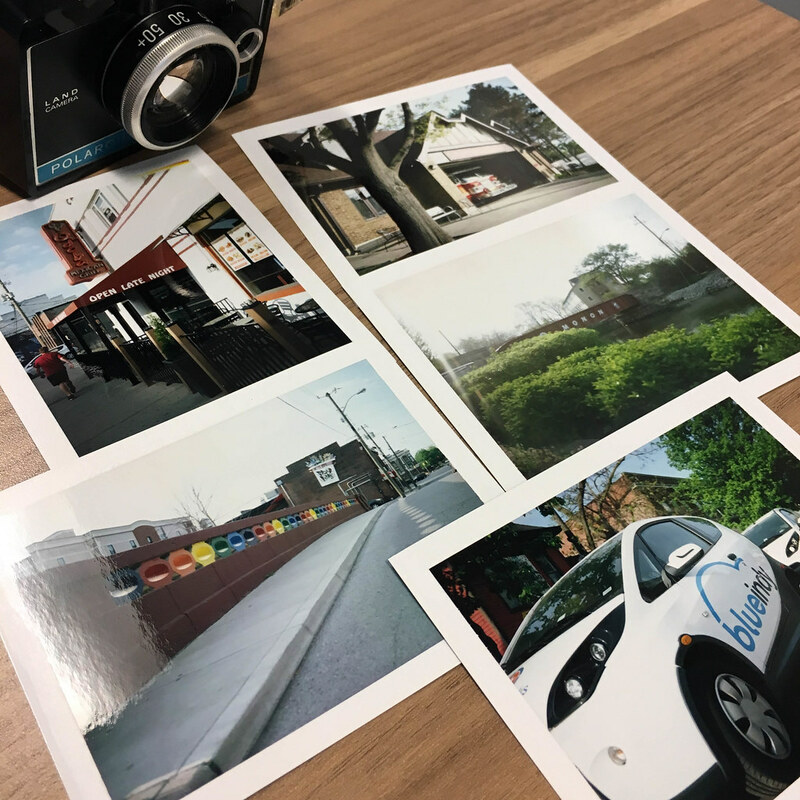 I shot my last two packs of Fujifilm FP-100C during Polaroid Week three weeks ago. My packfilm stock is now gone and I’m out of the peel-apart instant-photography game. I’m not paying $30 for leftover stock of a film that cost about $8 new. I’m sad. This is a lovely film, and it’s a shame it’s no longer being made. I made beautiful prints from my last packs. I long ago whittled my packfilm camera herd down to one: the Polaroid Colorpack II, a decent all-around performer. 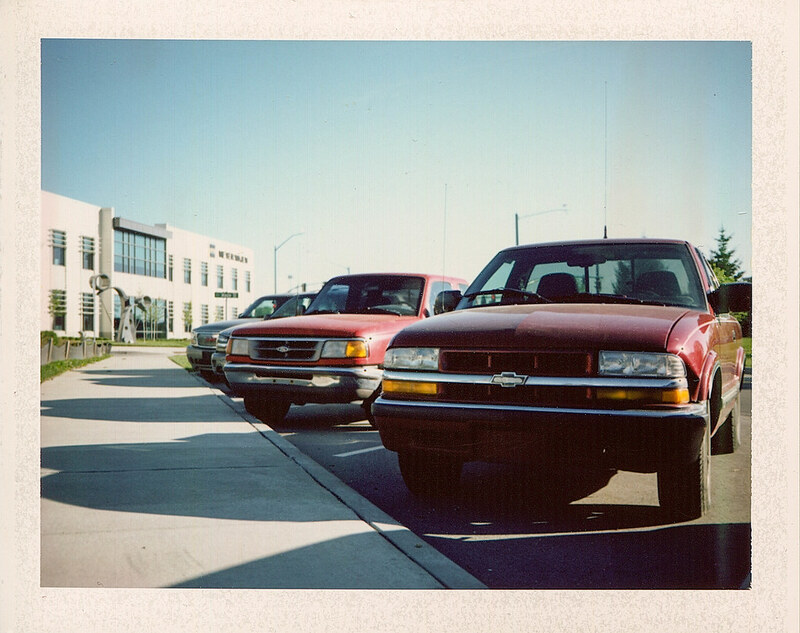 I shot both packs of FP-100C in it on two separate days that week. Here are some photos from the first day. Let’s take a look at some of these photos more closely, shall we? I scanned them on my Epson V300 through Silverfast. They’re not bad, but aren’t as crisp and jewel-like as the prints themselves. Here are some narcissus in my front yard. It was a cloudy bright morning as I drove to work. I pass through the Broad Ripple neighborhood every day now, so I parked and made a few photos. This shoe repair is one of a small handful of businesses on the main drag that was in business when I moved here in 1994. In those days, most of the strip was little local businesses like this. Today, it’s all restaurants and bars. And the bars are generally giant, sparsely-appointed rooms in which you drink thin beer from plastic cups. The college kids probably love them but at my age I look for greater sophistication and ambience. On a brightly sunny morning two days later I paused again in Broad Ripple. 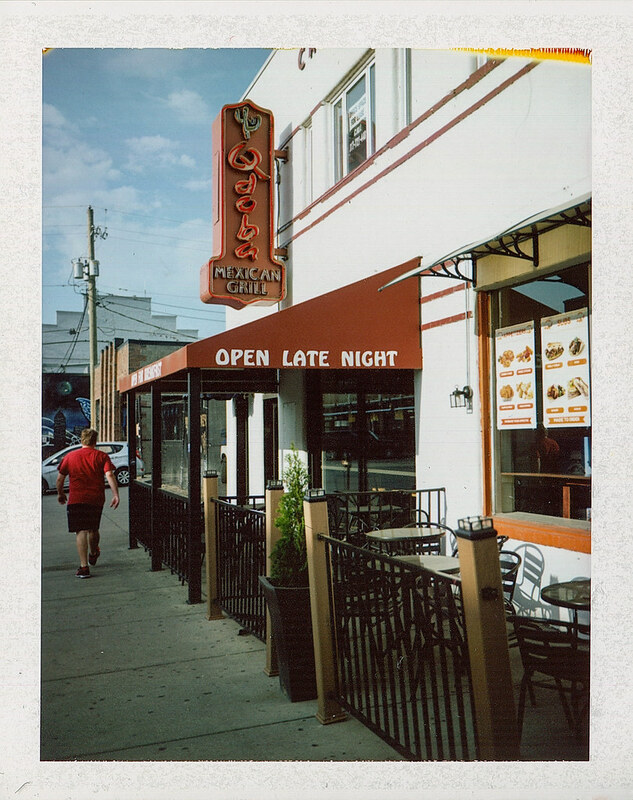 “Open late night” is a big deal around the strip, as the twenty- and thirty-somethings need someplace to grab a bite and sober up after the bars close. 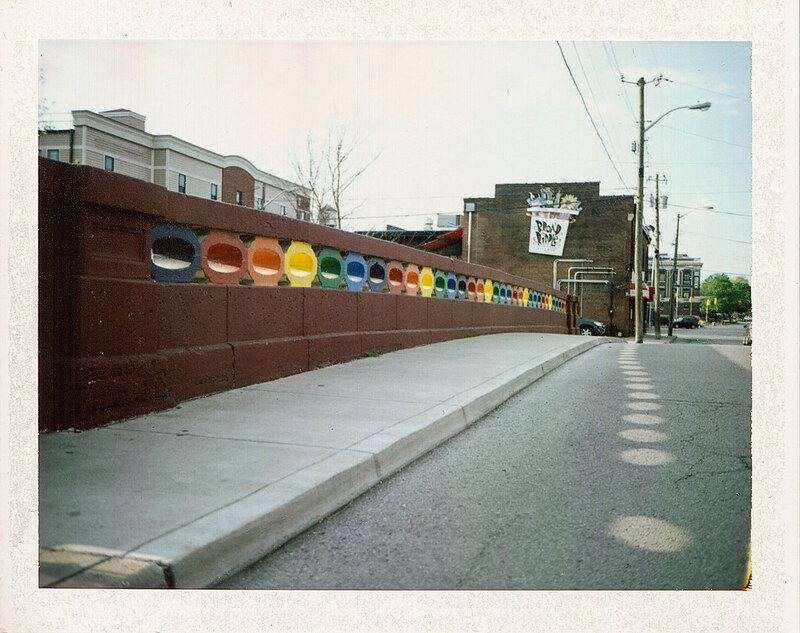 Just down the street, the rising sun was right to shine this pattern onto the street through the Rainbow Bridge’s railing. I think I’d like to explore this subject more. A longer lens might yield some interesting results. The Colorpack II’s focal length is great for grabbing gobs of surrounding context. You have to move in to the camera’s minimum focus distance of three feet before a subject will fill a frame (like the narcissus above). If you back up even a foot, suddenly the camera sees all. From this I induce the camera’s two main purposes: close portraits and wide vacation shots. With a 50mm lens on a film SLR, I could have isolated these truck noses and the shadows they cast. But with the Colorpack II, I will forever remember just where I made this photo: on the street by the office building in which I now work. This would be a killer feature on a trip, as even a quick family shot would bring in so much of the surrounding scenery. That’s a perfect way to record vacation memories. All was not skittles and beer with this camera and film, however. The Colorpack II’s primitive autoexposure system doesn’t resolve challenging lighting like this very well. 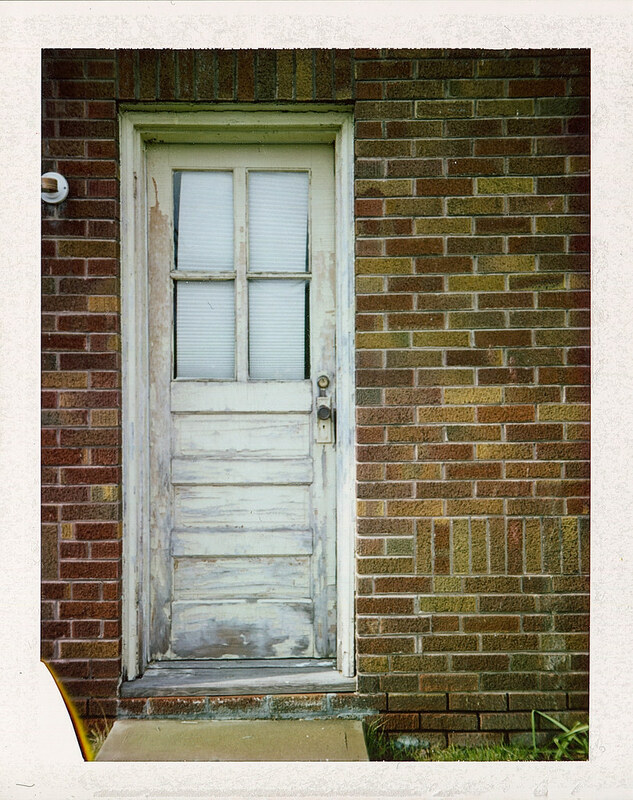 And the FP-100C tends to blow out strong highlights. The film also washes out where the sun reflects off light objects. 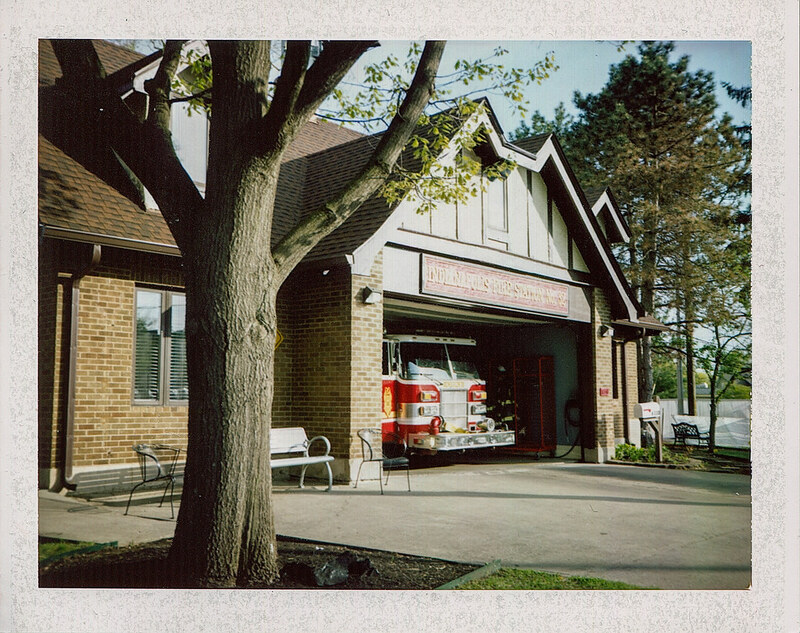 The effect is worse on the print; I tweaked highlights in Photoshop to bring out the fire-station’s sign as best I could. And good heavens, don’t shoot this camera toward the sun. A lens hood might have helped. Did they even make lens hoods for these rigid-bodied packfilm cameras? There are no screw threads, and a push-on hood would cover the focus markings on the barrel. And of course there are the usual pack-film vagaries such as undeveloped corners. But oh my gosh did I ever have a great time making these photographs. I will forever be charmed by getting a nice print in a minute. And like I said, the prints look great compared to these scans. They’re little jewels of color. But more than that, I really came to appreciate the Colorpack II shooting these last two packs. I would love to explore its lens’s capabilities some more, showing subjects and their surrounding contexts. It’s a shame pack film isn’t being made anymore. 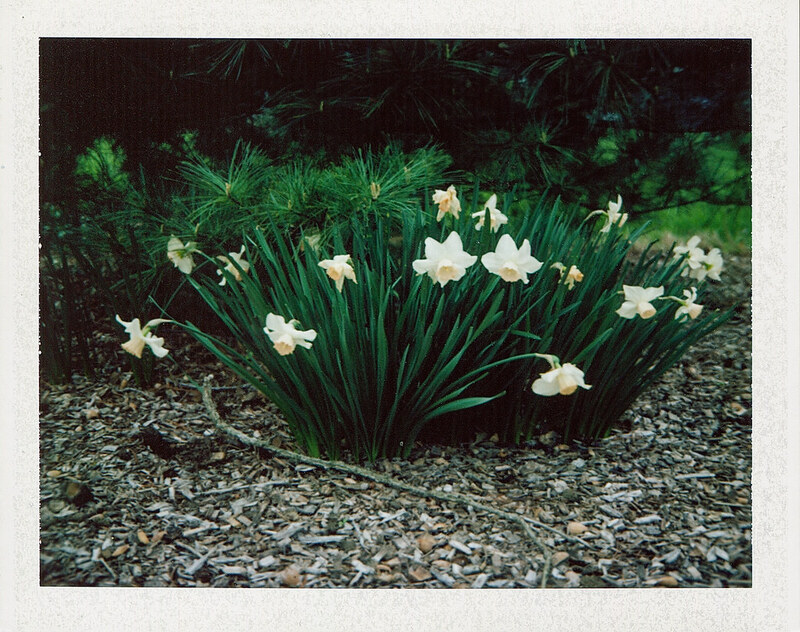 Instant-film lovers worldwide contributed to a giant Flickr pool this Polaroid Week; see it here. 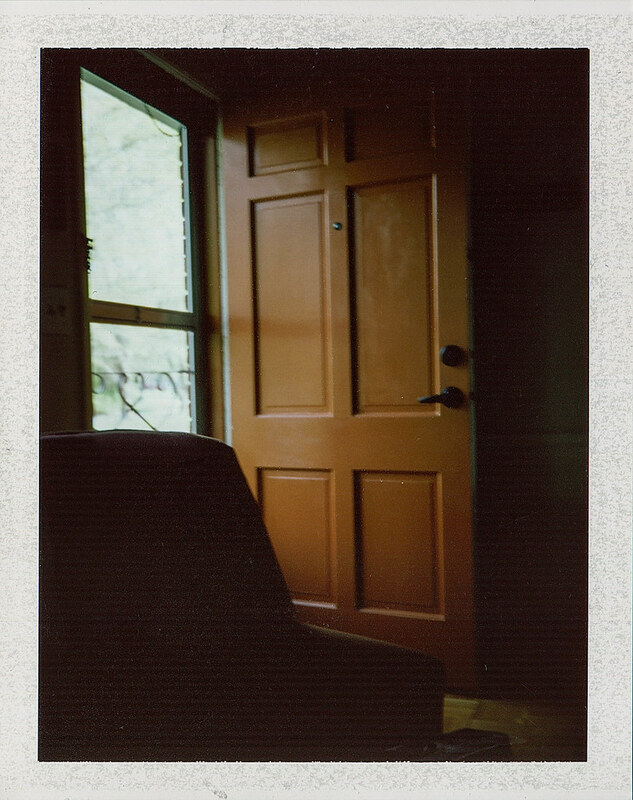 I missed the boat entirely on Polaroid. Never shot it when it was in production and never got around to the Fuji pack film. So far, Impossible hasn’t done it for me. The Fuji film is better than the Polaroid film I shot in the 70s. As you can see from this post the Fuji film has its limitations, but I’ve discovered that as long as you avoid high-contrast or reflected-bright-sun situations, the film delivers well. I’m going to try Impossible one more time, I’ve decided. I still have my SX-70 and it just seems a shame not to use it. “But oh my gosh did I ever have a great time making these photographs.” It shows in your images, Jim. Great photos, and great post! I miss pack film. The day that the discontinuation was announced was a sad sad day. I had a 180 which made pack film even greater due to full manual control. I had a fridge full of 100c and I ended up selling it and the 180 to pad a down payment on our new house. I still miss the sound the rollers make when you pull it out. Impossible has been talking about releasing packfilm, so there’s still hope. BTW when you try impossible for your sx70 again, make sure it is the new formulation and not the previous. The image quality is worlds better. I had a 250 before. I converted it to take AAA batteries. That conversion was fussy and didn’t always work right, and then there was the problem of the body compressing the plastic film pack, which made it hard to get the first 3-5 photos out of the camera. That’s why I bought the Colorpack II — it takes AAs natively, and it doesn’t compress the plastic film pack. But that 250 did such fabulous work, and I loved its rangefinder. Oh well. Here’s hoping the reborn pack film (if it ever happens) is as good as the Fuji stuff. You are right about getting the first few shots out I found that a real struggle with my 210. The first few shots being tough is an easy fix. You would get an original metal polaroid pack, i had an entire box of them, most of the cameras i bought still had a pack left in them. You remove the plastic cover from the Fuji pack and replace it with the metal cover from the polaroid pack. Took 30 seconds and it worked like new, no compression. Well daggone it, now I wish I hadn’t sold my 250! Ahhh I have the opposite problem. 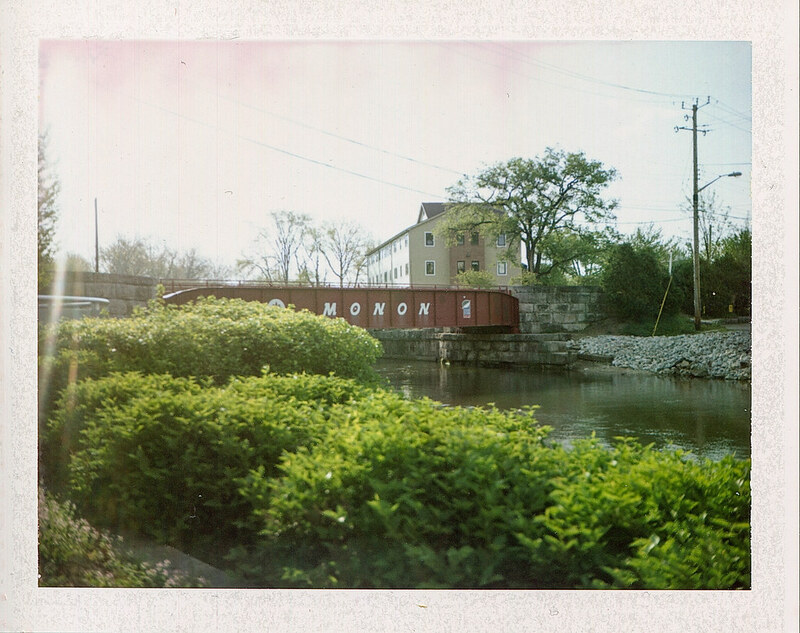 I have FP-100C in the fridge but unfortunately there is something wrong with my land camera. The last film I shot all came out black so something is not working. I converted it to modern batteries a while ago and all was fine but then suddenly nothing. I will get around to looking at it again but it’s an expensive test if I don’t fix it first time. My local camera store still has stock (I think) but as you say prices are escalating fast. All black does sound like a problem with the battery or the electric wiring. Might be easier and cheaper to just buy a new body! yeah I was just thinking that. I didn’t realise the Colorpack II took AAA batteries, I could pick up a one of those cheap and just shoot it. Yes. The end of an era for me. An era I wish I had taken greater advantage of. I feel like with these packs I finally got the hang of the format. 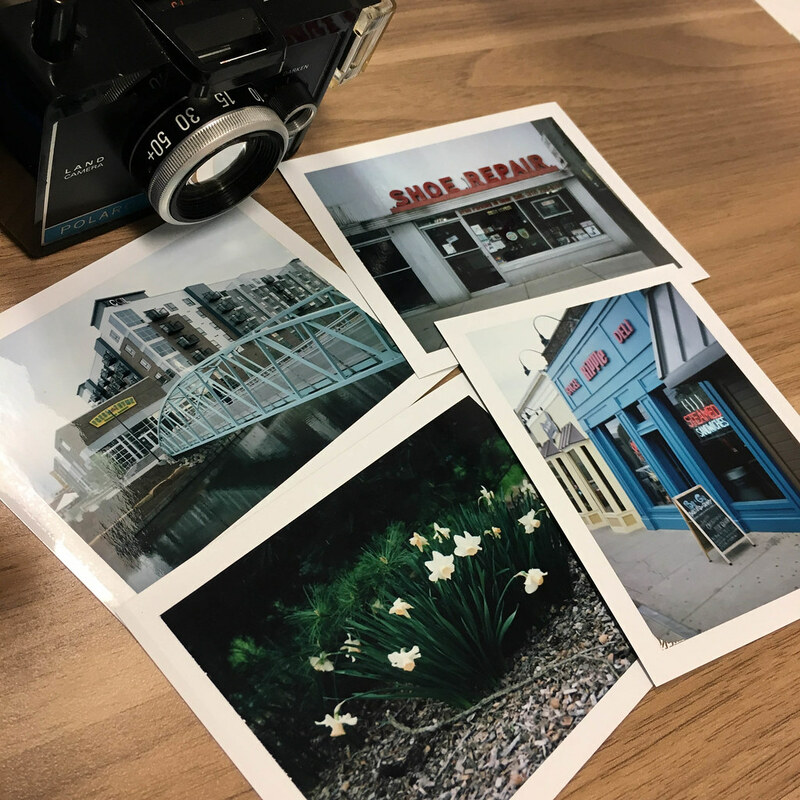 A bunch of lovely photographs made on a pack film that will be missed. And I mean really, really missed. I think I got a few sheets left in my last pack, and unless someone like to hand a bunch of Fuji FP-100 packs, I’m officially into my last one as well, for the same reason as yourself. I keep asking myself why Fujifilm didn’t hand the stuff over to Impossible Project or others able to keep the wheels running for another few decades or so, but it seems they got an agenda of some sort. Things come and go. Some will be missed, others we can’t get rid of soon enough. 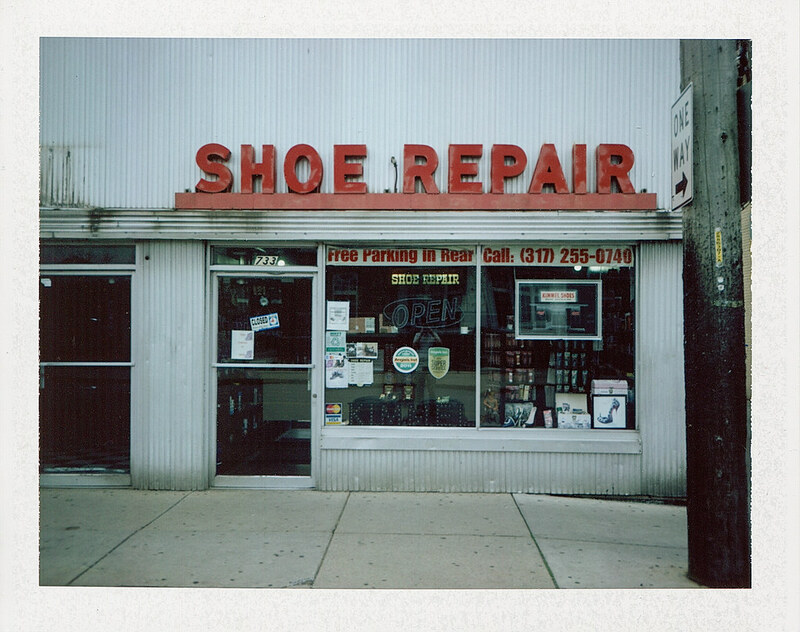 The FP-100C is a great product still being used by a lot of photographers around the world. I just can’t see any good reason to take it out of production right now. Yeah. I sometimes think Fujifilm hates us. I heard recently that they’re discontinuing their 35mm Superia films, except for ISO 400 in 36-exp rolls. They aggressively appear to want out of the film business, except for Instax. Exactly what it looks like from inside my own head as well. Sorry to be the bearer of bad news, but Fujifilm did indeed stop making this film. All new film is leftover stock, and when it’s gone, it’s gone.